I’d like to pause again in my series on why I left the Catholic Church, to pay tribute to two of the greatest Catholics I know of…my mom and dad. Though I have major disagreements with what they held to be true, I have always admired their obedience, devotion, and sacrifice for the sake of Christ. The Church was greatly blessed to call them her own. My mother bore 11 children, and raised ten. One daughter was stillborn at 7 months. My husband likes to say that Mom didn’t see her feet for 20 years. She and my father both wanted a large family, and even postponed the consummation of their marriage for a day or more as an offering to God with their prayer for a house full of kids. By the time she was 32 years old he had already blessed them with eight. I’m sure God was answering that prayer, but we weren’t always paying attention. We fought a lot. Parenting a huge brood of complaining, selfish, quarrelsome kids has got to be one of the hardest jobs in the world. But though she rarely got any rest or recreation, I don’t recall Mom ever complaining herself. Her response to our whining was either, “Smile. You’ll feel better,” or “Offer it up.” Which is exactly how she made it through every trying day. My parents loved each other deeply, but my father, in the earlier years of their marriage, would sometimes fail to give my mother the respect she deserved. She was a college graduate, very smart and a talented artist, but he would at times dismiss things she said with a look that I can still see in my mind’s eye because I felt the hurt it must have caused her. But she never failed to respect and submit to him, in obedience to God’s Word. In time, he came to humbly acknowledge and praise her profusely for her godliness, wisdom, and influence in his life. Mom understood and embraced God’s design for men and women. I’m quite certain my father would never have been the confident, outgoing, successful businessman and citizen that he was if Mom had not intentionally played to his masculinity with her feminine ways. Her love and support and submission to his headship of the family, united with him in their love for God, freed him to enthusiastically assume his role as the spiritual head of the home as well. Sometimes I wonder what their conversations were like in the privacy of their bedroom, as one or more of us kids were challenging their parenting skills. And then I remember something I was privileged to witness when I shared a hotel room with them on a trip to Boston for my brother’s graduation. Before turning in for the night, they each knelt on their side of the bed, and prayed together. I believe there must have been at least as much conversing with God about us as there was with each other. When my dad was dying of prostate cancer, Mom cared for his every need. Some of those needs were unpleasant to meet, for both of them, but she did them willingly and joyfully because that’s what love does. I would also like to have been privy to their last words to each other before Dad went home to be with Jesus. They were very much in love. She had a vivid dream about Jesus once…I wish I could show you the picture she drew of him afterwards. It made her feel so close to the One whom she knew loved her even more than my dad. 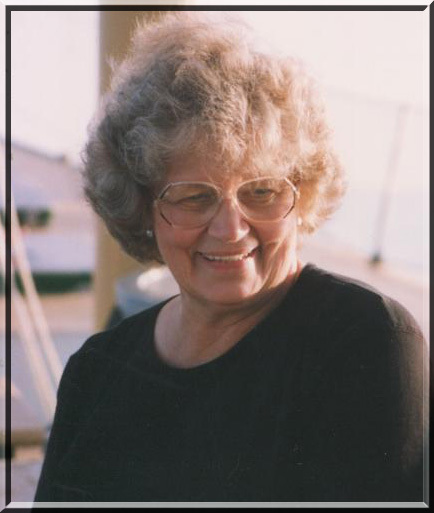 Mom passed away unexpectedly almost 9 years ago now, 3 years after Dad. She had an undetected lung disease that had made her breathing difficult, but she never complained, so it went untreated. When she finally saw a doctor, he put her in the hospital where she died 3 weeks later. My mother’s funeral was on my sister’s birthday, who is particularly sensitive and relational and was taking it pretty hard. The following is a poem I wrote then to encourage her. Tomorrow I’ll tell you a little bit more about my dad.